Learn how to play songs on the piano in this section! 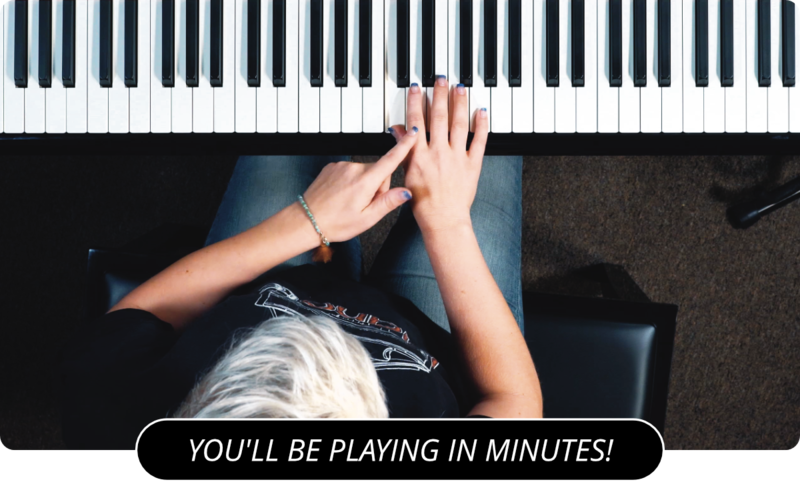 Learning how to play basic songs, easy songs, complicated songs, or challenging songs is a great way to stretch your piano playing while having fun on the piano! This area of PianoLessons.com will teach you how to play a bunch of classic songs on the piano. 12 Bar Blues - Learn how to play the 12 Bar Blues and how to apply them to your piano playing. Bruce Hornsby - The Way It Is - Learn how to play 'The Way It Is' by Bruce Hornsby in this piano lesson. Charlie Brown Theme Song - Learn how to play 'Linus & Lucy' in this piano lesson video. Charlie Brown Theme Song 2 - 'Linus & Lucy' continued from previous lesson. Coldplay - Scientist - Learn how to play 'Scientist' by Coldplay in this piano lesson. Coldplay - Scientist Pt. 2 - 'Scientist' continued from previous piano lesson. Five For Fighting - 100 Years - How to play Five For Fighting's '100 Years'. Happy Birthday - Learn how to play the classic 'Happy Birthday' song on the piano. London Bridge - Learn how to play 'London Bridge' on the piano. Mary Had a Little Lamb - Learn this classic piano song in this video lesson. Row Your Boat - Learn to play the basic 'Row Your Boat' song on the piano! Twinkle Twinkle - Learn how to play 'Twinkle Twinkle' on the piano in this video lesson. Vanessa Carlton - 1000 Miles - Learn the classic piano song '1000 Miles' by Vanessa Carlton on piano.